Handmade Detroit | “Craft” is up! Clear your schedule for the rest of the night! 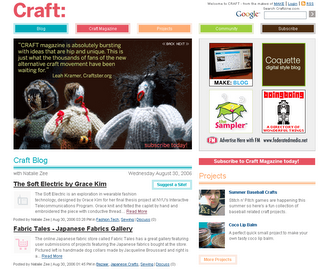 The new Craft magazine from Make is up online and taking subscribers for the print edition. The online edition has a blog, a few articles, community section and event listings. Not too shabby, if you ask me. I bought an awesome necklace from the DUCF this summer, but I lost the makers card and I really want to pick more of her stuff up. She made necklaces and earings that looked like window panes, and she put a intresting grapic or quote in the necklaces. I have one of a womans face and a shakespearian quote on the back. 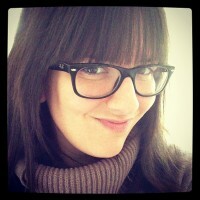 This may be really vague, but if you’ve got any ideas, I’d love to get in touch with her. I’ll watch the blog for your response.